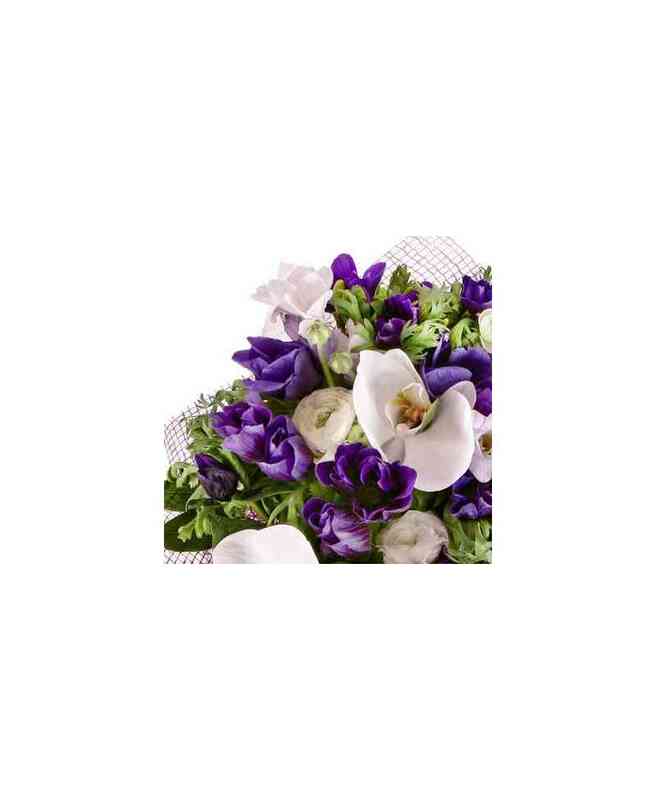 Home > Bouquets>Bouquet "Purple blues"
Bouquet of purple anemonium, ranunkulyus, freesia, orchid Phalaenopsis. 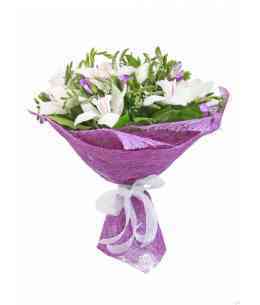 This bouquet contains some seasonal flowers and they can be replaced by florist, but the range of colors and price remains the same. 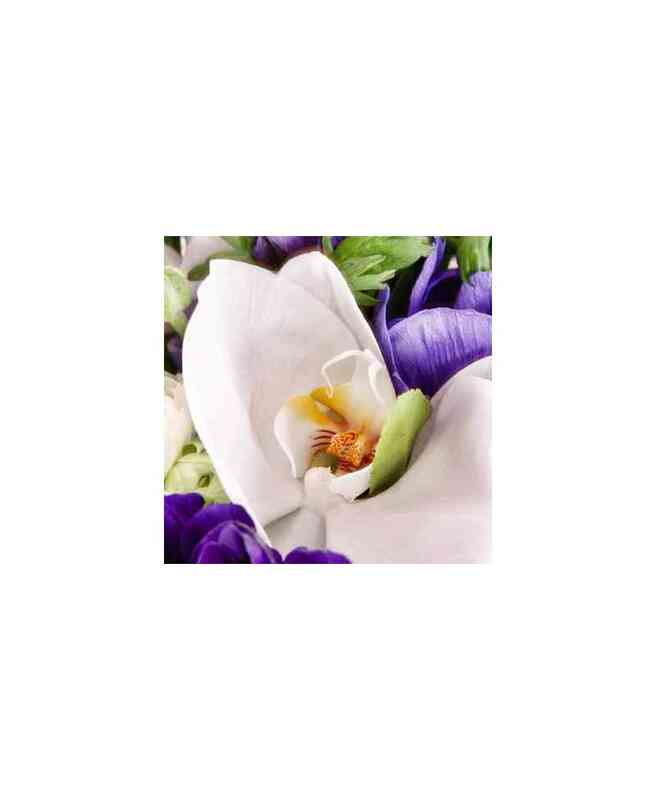 Composition of anthurium, Phalaenopsis orchid and roses. 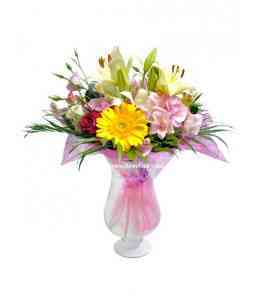 Bouquet of gerberas, roses, orchids, freesia, alstroemeria. 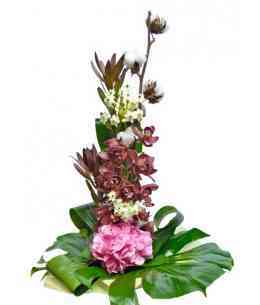 Bouquet of cymbidium orchids, hydrangeas, cotton, leukadendron, ornithogalum. 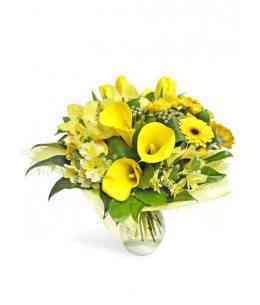 This bouquet contains some seasonal flowers and they can be replaced by florist, but the range of colors and price remains the same. 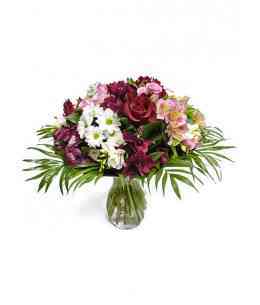 Bouquet of gerberas, alstroemeria and orchids. 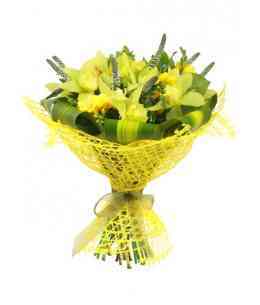 Bouquet of cymbidium orchids, lily, anthurium, green chrysanthemum, bamboo, hypericum, statice, leukadendron. 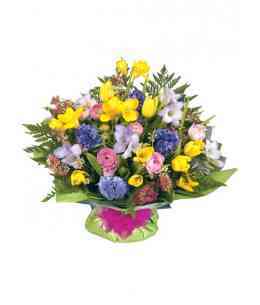 This bouquet contains some seasonal flowers and they can be replaced by florist, but the range of colors and price remains the same. 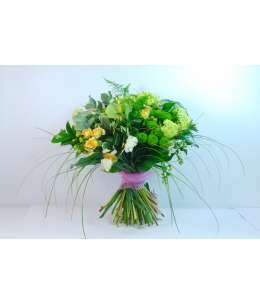 Bouquet of orchids, freesia, veronica, green carnations, salal. 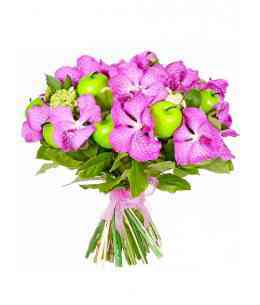 Bouquet of orchid Vanda, hypericum, decorative apples. 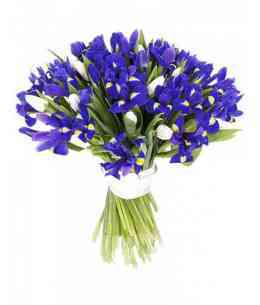 This bouquet contains some seasonal flowers and they can be replaced by florist, but the range of colors and price remains the same. 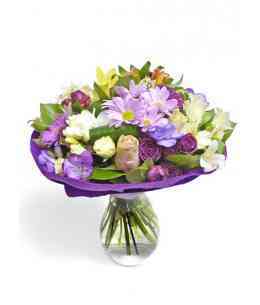 Composition of orchids, chrysanthemums and gerberas. 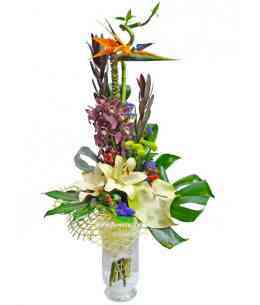 Bouquet of orchids, gerberas, celosia, red roses, agapanthus, solidago. 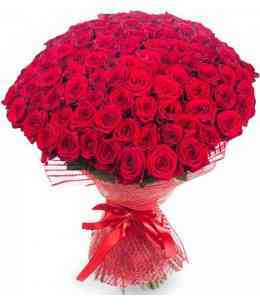 This bouquet contains some seasonal flowers and they can be replaced by florist, but the range of colors and price remains the same. 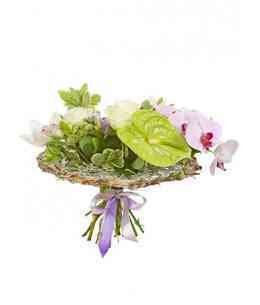 Bouquet of orchid cymbidium, freesias, veronica and greenery of Salalah. 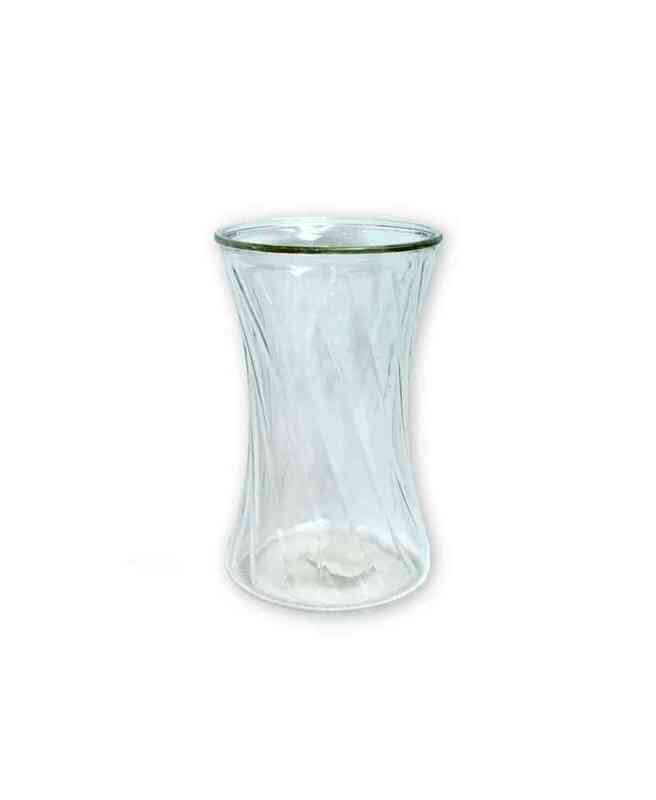 This bouquet contains some seasonal flowers and they can be replaced by florist, but the range of colors and price remains the same. 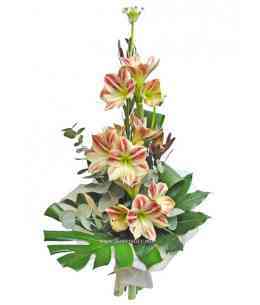 Bouquet of 3 amaryllis, ornithogalum, leukadendron, green eucalyptus, aspidistra, monstera. 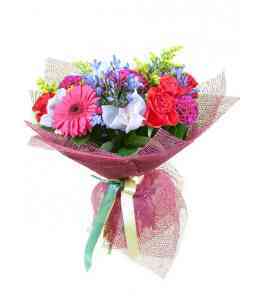 This bouquet contains some seasonal flowers and they can be replaced by florist, but the range of colors and price remains the same. 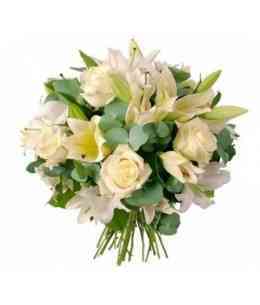 Bouquet of lilies, roses and green eucalyptus. 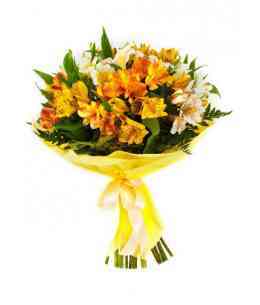 This bouquet contains some seasonal flowers and they can be replaced by florist, but the range of colors and price remains the same. 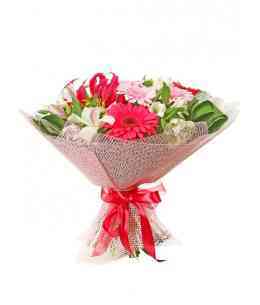 Bouquet of 3 pink gerberas, 5 pink roses, white chrysanthemums, white irises, veronica, salal. 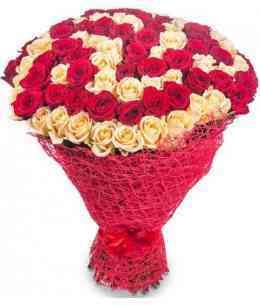 This bouquet contains some seasonal flowers and they can be replaced by florist, but the range of colors and price remains the same. 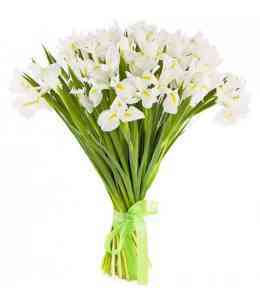 Bouquet of 31 white irises. 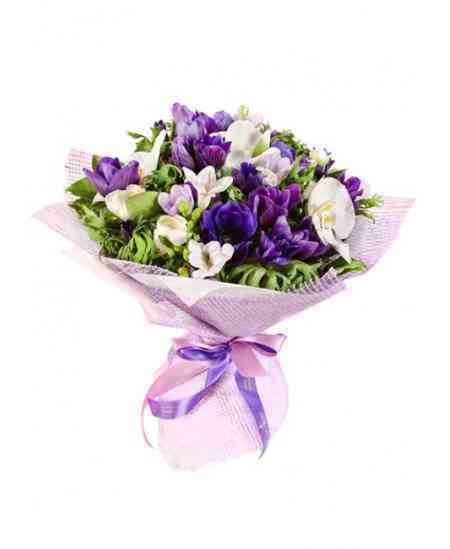 Bouquet of 33 purple irises and 11 white tulips. 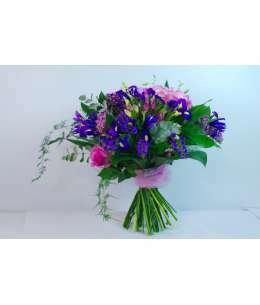 Bouquet of purple hydrangeas, 3 pink roses, eustoma, alstroemeria, chrysanthemum, salal. 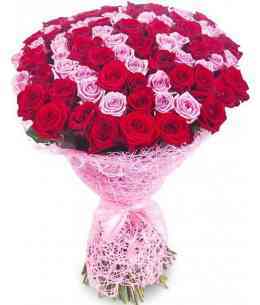 This bouquet contains some seasonal flowers and they can be replaced by florist, but the range of colors and price remains the same. 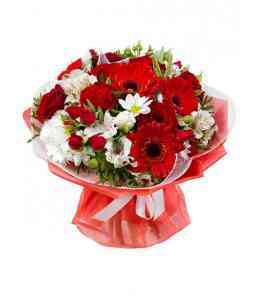 Bouquet of 3 red gerberas 7 red roses, white alstroemeria, chrysanthemums, red rose tross. 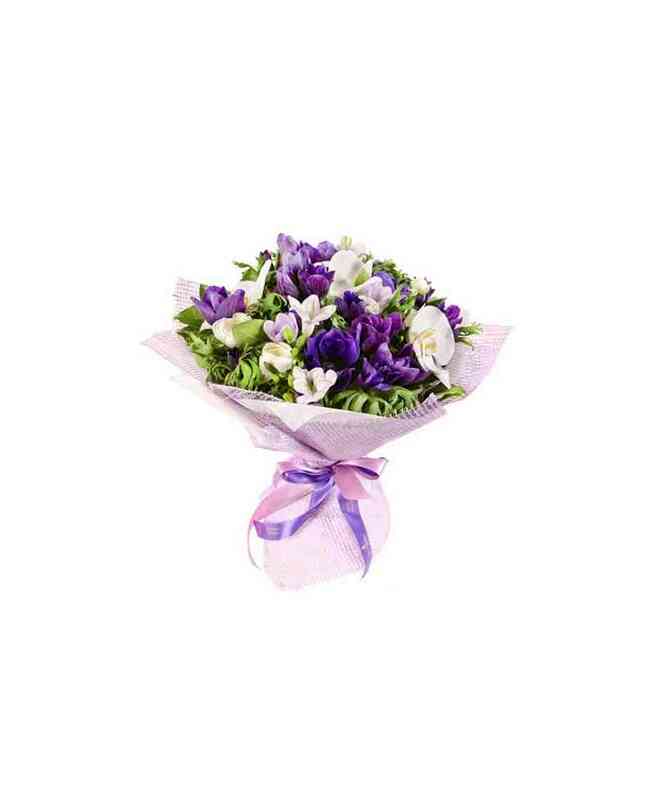 This bouquet contains some seasonal flowers and they can be replaced by florist, but the range of colors and price remains the same. 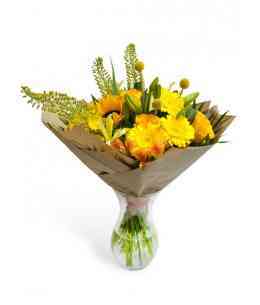 Bouquet of sunflowers, 3 gerberas, 3 roses, lilies, chrysanthemum, alstroemeria, craspedia. 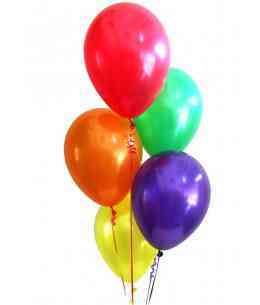 This bouquet contains some seasonal flowers and they can be replaced by florist, but the range of colors and price remains the same. 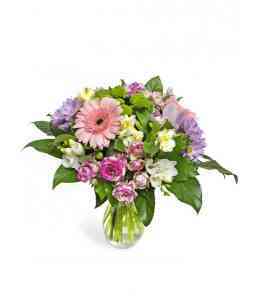 Bouquet of purple gerbera, chrysanthemum, freesia, pink roses, alstroemeria. 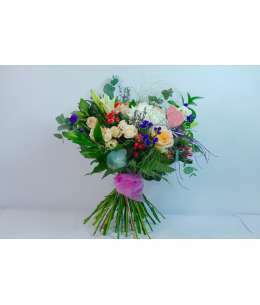 This bouquet contains some seasonal flowers and they can be replaced by florist, but the range of colors and price remains the same. 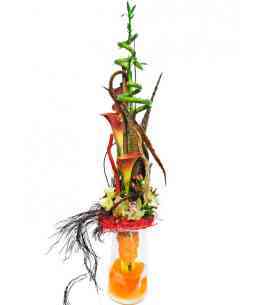 Bouquet of orange gerbera, roses, alstroemeria, chrysanthemums, hypericum, aspidistra and salal. 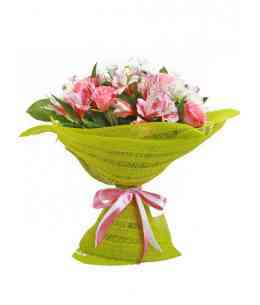 This bouquet contains some seasonal flowers and they can be replaced by florist, but the range of colors and price remains the same.